Dr Smily Pruthi Pahwa MBBS, MD (Biochemistry) is a well-known faculty of biochemistry. With incredible energy and enthusiasm for biochemistry, she picked the subject as her first endeavor. 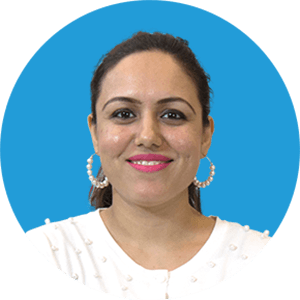 After completing her MD from Dayanand Medical College and Hospital, Ludhiana, she engaged herself in imparting quality training to the students from different streams. Her innovative ideas and new approach to deal with the complex topic makes her very popular amongst the students. Her intuitive simple lecture makes the subject easy to understand. She is the national level workforce for biochemistry.